The business of mindfulness has extended beyond $1 Billion today, excluding revenues from various apps out there. Researchers are also getting immersed in the area, in terms of health benefits at work, yet very little exists on the impact mindfulness has on leaders at work and most studies are done in a clinical setting. As an organization consultant in the corporate arena, I know that companies will increasingly ask about the ROI of mindfulness programs, as blasphemous as that may seem to some of you! To address this, I conducted a study to understand the value in which mindfulness programs may have in the workplace, specifically on leaders. Groups of leaders from various organizations were organized into either an 8-week virtual mindfulness program, or an in-person mindfulness program. Baseline measurements of psychological capital (PsyCap) were taken: hope, optimism, resilience, and efficacy; Traits that can be developed over time. The program consisted of breathing techniques, experiential activities, group dialogue, instruction on neuro-science and cognitive-based exercises. Participants were also given time to reflect on how to integrate the learning into his or her role as a leader. Results of the virtual intervention indicated that the level of hope had increased among participants, but minimally. The classroom-based group, however, indicated significant positive shifts across all four traits of hope, optimism, resilience, and efficacy. This group also expressed greater capacity to listen empathically, manage negative emotions, and take time to empower others through coaching. These results are encouraging, emphasizing that a classroom-based program has more impact on leaders at work, than virtual, and hence, a better “investment”. For the full report, go to: The Impact of Mindfulness Based Interventions on the Psychological Capital of Leaders. Good, D. J., Lyddy, C. J., Glomb, T. M., Bono, J. E., Brown, K. W., Duffy, M. K., … Lazar, S. W. (2015). Contemplating Mindfulness at Work: An Integrative Review. 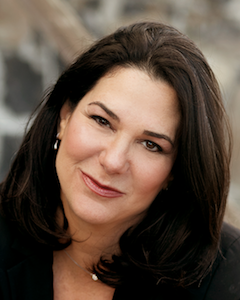 Marci Rinkoff, MSOD PCC is a Senior Organization Development Consultant with Right Management. 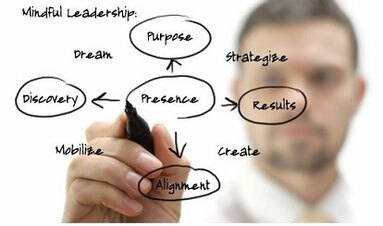 She helps Fortune 500 companies develop their leadership base and internal coaching processes. Clients know Marci for her ability to blend business strategy, leadership experience, humor and a goal-oriented approach. She teaches Mindful Leadership, a series of programs based on mindfulness research, and leadership competencies. Ms. Rinkoff received her Masters in Organization Development with Honors from Pepperdine University, and is a certified coach through the International Coach Federation.